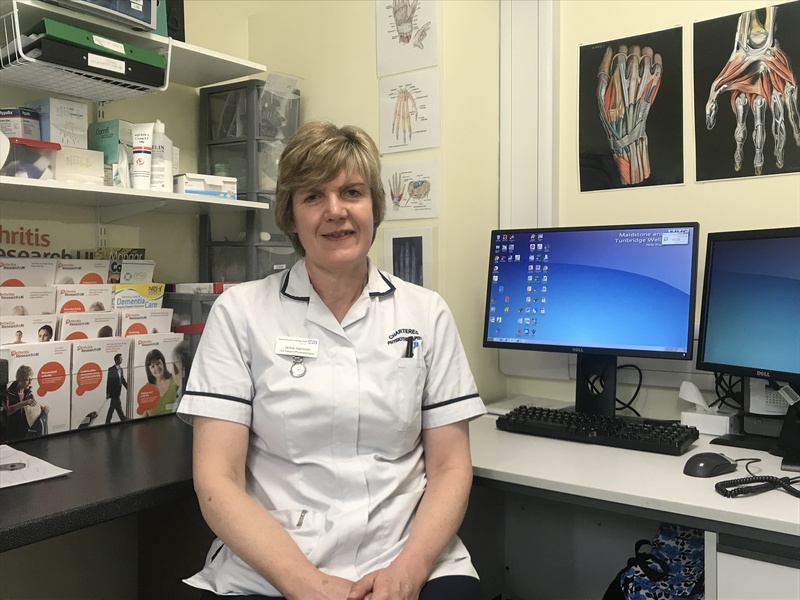 Jackie Hancock, Clinical Specialist Physiotherapist, who is based within Therapy Services at MTW, has recently become an Accredited Hand Therapist. Jackie is the first accredited hand therapist in the Trust and is one of around 60 in the whole country. The accreditation (from The British Association of Hand Therapists) was achieved over a period of 10 years, and involved an education programme which included courses, exams and projects, as well as vast practical experience. Hand Therapy is a relatively new service for MTW and previously, patients requiring specific physio on their hands would have been referred to another hospital. The good news is, patients now no longer have to travel vast distances for treatment and can be seen at either Maidstone or Tunbridge Wells hospitals. Jackie said, “The development of this service within MTW is great news for patients as it enables them to receive targeted, specialised care, closer to home.